How much business are you Losing because your website can't sell to your customers? Have you ever stopped to consider that a website that is user friendly and marketed correctly could be your Best Salesperson? With the current economic situation, companies that do business on the Internet are looking for more cost-effective ways to increase and /or maintain their online presence. That's where ArchiTech comes in. We are experienced developers capable of creating and maintaining robust and scalable e-commerce applications for any size business. Our solutions are customized for your specific industry and have been proven successful for both Business-to-Business and Business-to-Consumer based operations. 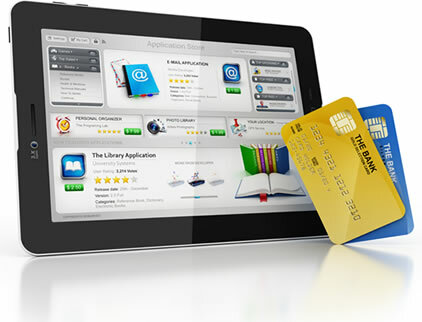 To ensure that your customized E-commerce website is prosperous, it is critical that you be able to administer certain functionalities within the site, such as adding or updating product information and prices, personalizing user profiles based on previous shopping or usage history, and securely managing the transfer of money from one account to another. ArchiTech Software & Web Solutions can develop a complete e-commerce system, loaded with feature-rich functionality at a cost that will make you want to Buy Now! To learn more about our E-Commerce solutions and marketing services or how they can help build your business, click to get started.